Is aesthetic skull surgery dangerous? While skull surgery understandably conjures up images of neurosurgery and brain exposure, these two types of skull surgery are radically different. Neurosurgery is intracranial surgery (brain surgery) of which the skull bone is merely an obstacle to be breached on the way inward. Conversely, aesthetic skull surgery are a collection of extracranial procedures that work on the outside of the skull bones leaving a safe margin of bone thickness between the reshaping efforts and the underlying brain. Like aesthetic surgery on any other face or body area, it is medically safe and any potential risks and complications are cosmetic in nature. Will skull reshaping surgery leave scars? Access to perform any skull augmentation/reduction procedure does require incisions. All incisions leave scars. But when one thinks of scalp scars from surgery, one is again drawn to neurosurgery where long incisions that may be noticeable are quite common. While neurosurgeons do not deliberately mean to leave large visible scars, their focus is on more important lifesaving efforts that lie underneath the scalp. Conversely, in aesthetic skull reshaping procedures it is recognized that the surgery is elective and the patient has a choice. Like all aesthetic surgery there are trade-offs for every procedure and it is important to make every effort to diminish those potential liabilities as much as possible. Thus great attention is paid to limiting incision length and handing the scalp tissues during both opening and closing of the incision. Protection of hair follicles is paramount and is done by eliminating electrocautery and suturing well below or above the level of the hair follicles. While every skull reshaping surgery creates scars, it is not forgotten that the impediment to doing the procedure (scalp) is extremely important also. Does skull reshaping surgery involve a long recovery? The size and scope of the skull reshaping procedure will obviously affect the extent and length of the recovery. With the exception of the very largest skull reshaping procedures, recovery is usually quicker than one would think. Recovery is mainly about whatever swelling and bruising occurs, how visible it is and how long it takes to go completely away. I place no after surgery restrictions on physical activity or showering. (Which can be done immediately) Thus recovery is largely about how one looks and feels. Will skull reshaping cause hair loss? Other than the potential of some minor hair loss along the incision site (which I work hard to prevent), no form of skull reshaping surgery causes hair loss. The scalp has a tremendous blood supply and has extensive blood vessel connections from all over the scalp. Even the longest scalp incision with extensive scalp elevation does not affect hair growth. The scalp is indeed a very resilient and hardy tissue due to its resplendid large number of blood vessels. Also the scalp is very thick with five well known tissue layers. The location of the hair follicles are very superficial and well away from any work done down at the bone level. Do I need to shave my head or cut my hair for skull reshaping surgery? While a shaved head would certainly make many aesthetic skull procedures easier, I do usually modify one’s existing hair style in any way. While working through and around hair can be challenging, it does not increase the risk of infection. Keeping one’s existing hairstyle also makes the patient’s recovery less noticeable. Do I need x-rays before skull reshaping surgery? The need for before surgery x-rays must be determined on a procedure basis. Many skull reshaping procedures do not. 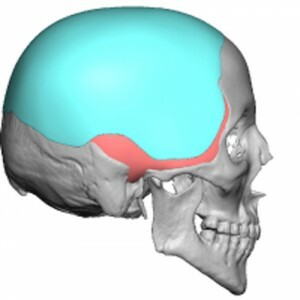 Certain skull reductions such as brow bone or occipital reductions do benefit from x-rays to help determine the surgical technique needed and how much aesthetic gain can be realized. All custom skull implants do require a 3D CT scan which is used for its computer design. What are the common risks and potential complications of skull reshaping surgery? The typical risks of any aesthetic surgery such as infection, bleeding or fluid collections are actually very rare in the skull/scalp. The most common adverse issues all revolve around the aesthetic outcome. 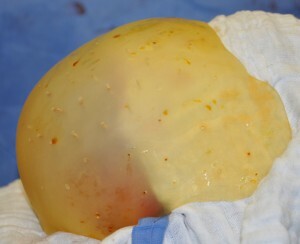 How well was the shape change achieved, is it symmetric and how well did the incision heal. Revisional procedures in skull reshaping surgery is not rare because of these issues and averages collectively in the 10% to 15% range. Smaller procedures have very low rates of revision while larger procedures would be understandably higher. Will my medical insurance pay for skull reshaping surgery? Skull reshaping surgery is both elective and cosmetic in intent. Since it does not provide any proven medical benefit, they are not procedures covered by insurance.